USTelecom set out to measure the broadband gap between rural and urban areas. While the gap is narrowing, USTelecom found that as of mid-2017, only 65% of rural areas have 25 Mbps Internet speeds compared to the 98% of non-rural areas. 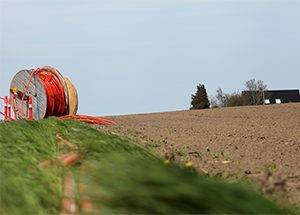 The rural broadband gap widens as broadband speeds increase for both wired and wireless connections. USTelecom suggests that government support, such as the FCC’s Connect America Fund, could help bridge the gap. 99% of non-rural homes can get wired broadband speeds of at least 3 Mbps. Only 81% of rural homes can get the same speeds. 92% of non-rural homes can get speeds greater than 100/10 Mbps while only 50% of rural homes can achieve the same speeds. In their US Broadband Availability Mid-Year 2017, USTelecom stressed the need for flexible and efficient policies that support broadband availability progress. For additional findings, click here.